DVD Sky Box Floating Glass Shelf Also Called Under TV Glass Shelf comes with Clear, Black, Frosted/sandblasted Glass. 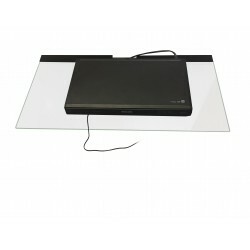 Floating Glass Shelf with an almost invisible bracket at the back. 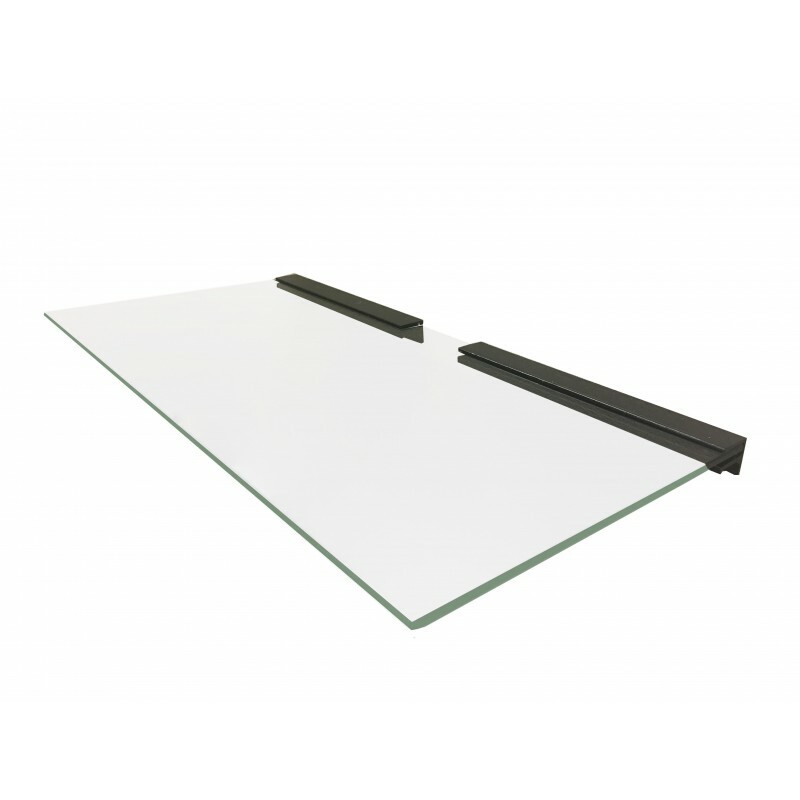 Heavy duty comes with toughened polish around the glass with split load capacity 20KG. Very smart design.EASY TO INSTALL: Screw bracket into the wall with screws & plugs. 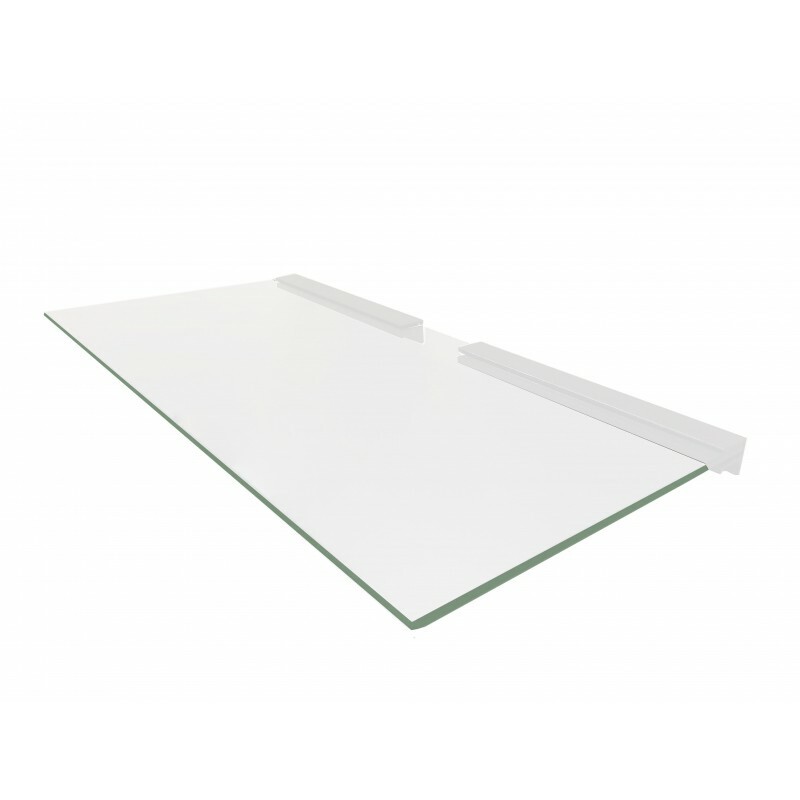 Slide in the glass from front & tight the glass by tightening the bottom screws. 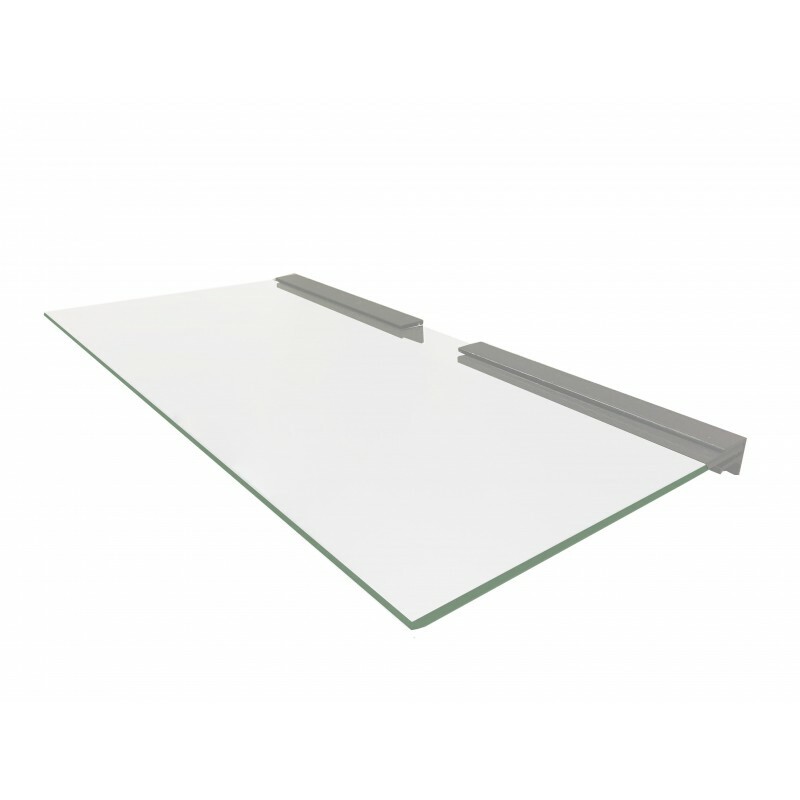 Floating glass comes with Black, Frosted, sand blasted, tinted, clear glass & white black & silver brackets. For custom colour brackets & custom size/colour glass please call on 02079986911.This shelf is vastly using for Sky Box, DVD player, Blu-ray player, under TV, internet router, Fish Tanks, Glass Aquarium, etc. because in this design there is a gap between glass & wall allows the electric cables to pass through from the back of equipment for neater look.